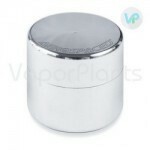 The Arizer Solo Battery is a replacement for the internal battery found inside of the Arizer Solo portable vaporizer. 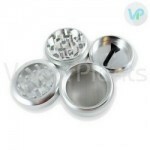 This vape battery can only be charged while inside of the portable vape, so it is typically only purchased when the vaporizer battery is dead and will no longer recharge. As this is Arizer Solo replacement battery, you can expect the same performance as your original battery in terms of the length of time it can power your device on a single charge and the amount of time that it will take to recharge it. All rechargeable batteries can be charged for a set number of uses and eventually will require replacement. This is an expected part of ongoing vaporizer maintenance and not usually an indication that there is anything wrong with your Solo. If the battery for your Arizer Solo is still covered by the 1-year warranty and is no longer working, please contact Arizer for assistance. For installation instructions, please consult the instructions included with the Arizer Solo or contact Arizer for guidance. If you need assistance getting in touch with Arizer, we'll be glad to help.